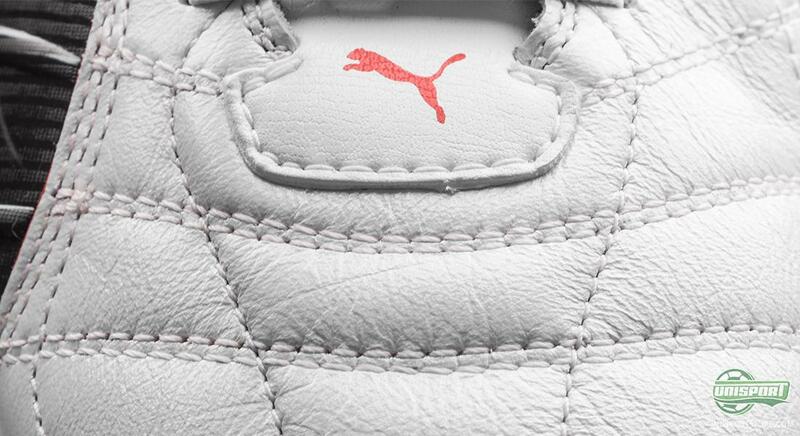 Puma continue to launch new colourways for all their boots and their modern interpretation of the old arch classic Puma King is no exception. It follows the same colour scheme as the other silos with White, Blue and Red being the dominant colours  the new boot has been well received here at Unisport, but what do you think about it? 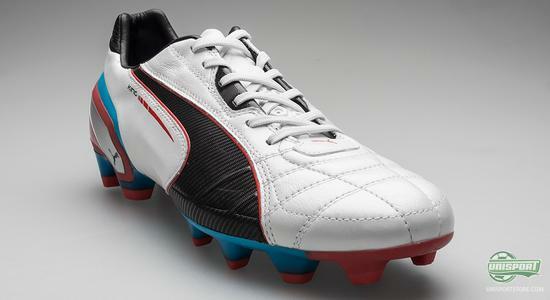 Puma's King collection has to be in and among the absolute favourites when discussing the best boots of all time. A great number of the best players to ever grace the field all used the King. 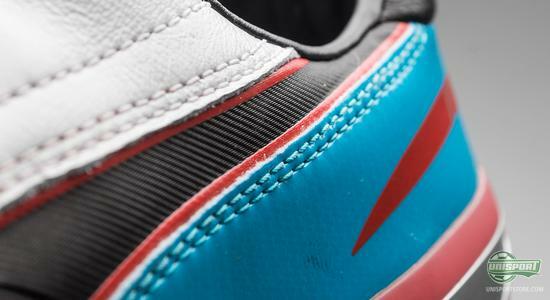 Pelé, Maradona and Eusébio are just a handful of the legends, who all did their bit, to make the Puma King the icon it is today. 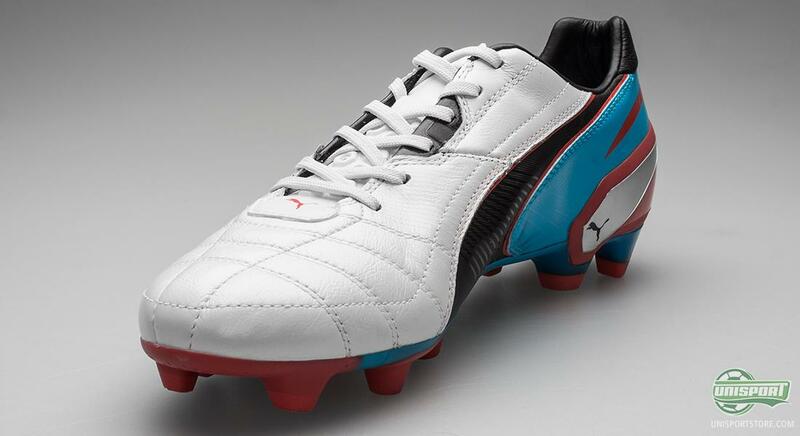 You can already pre-order your Puma King White/Black/Red/Blue  just 154. The new Puma King has already attracted a lot of attention from many of Pumas biggest stars and Nemanja Vidic, Yaya Toure, Phil Jones and Mikel Arteta are all among the stars, who have changed into the boot. We have already seen the launch of the Powercat 1.12 SL White/Red/Blue and EvoSpeed Red/Blue/White and Puma seem to be sticking to a special theme. Here the base colour is again white, the Puma strike Black and with Blue and Red spicing it up as accent colours. All in all a very fresh new colourway, which still keeps a hold of the elegance of old. 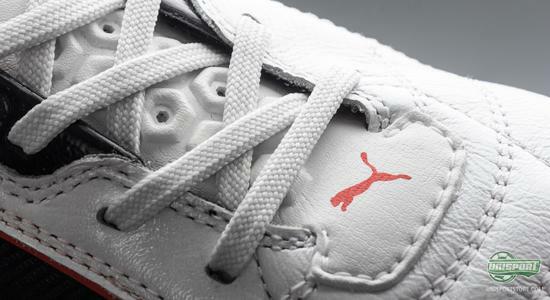 Puma King has always been known for an extremely nice leather upper and on that front, there is nothing new to report. However this time it is not a kangaroo leather upper, but rather a piece of soft calf skin. Puma have been very good at tanning the leather and it feels incredibly soft and flexible  and there is therefore plenty of reason to assume that the usual trademark comfort is also in order. 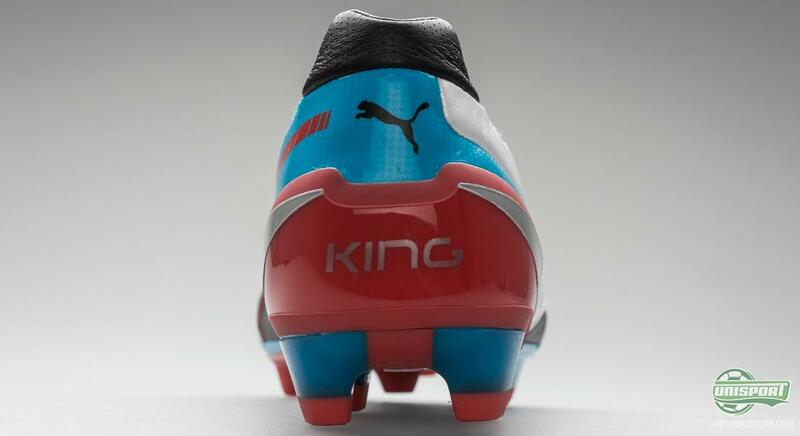 It also gives the Puma King a fantastic, natural touch on the ball, like we are used to on leather boots. 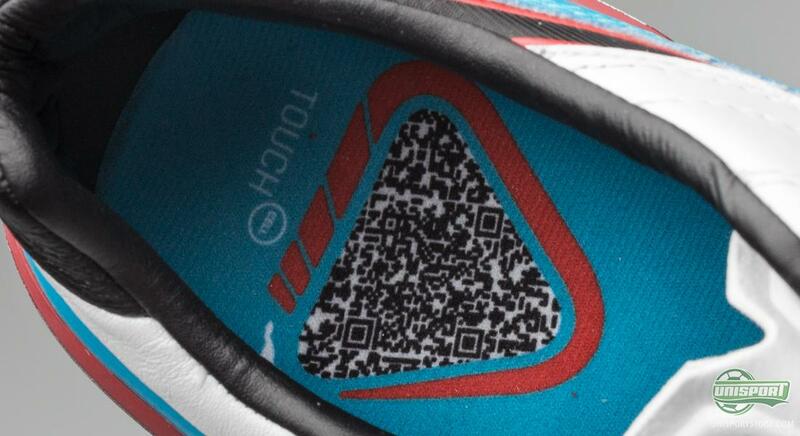 This has also been a big focus area for Puma when they, at the launch of the new modern take on the Puma King, also launched their new TouchCell. 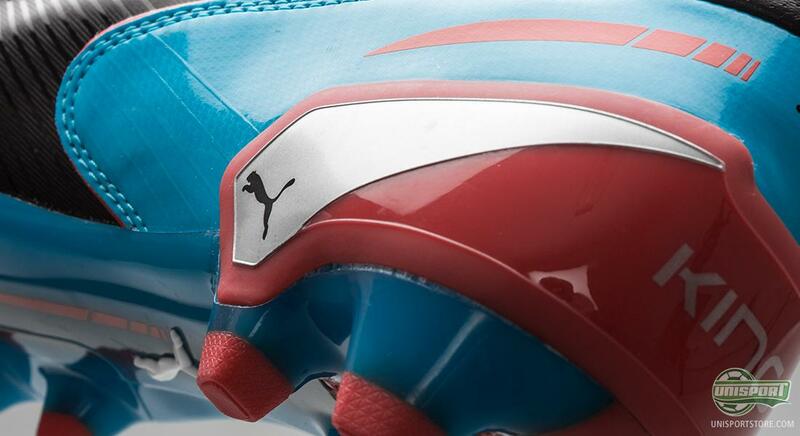 It is in this bracket that Pumas control- and touch boots are found and this definitely gives us a better idea, of which other boots the King will be fighting with. Puma have developed a brand new last, which goes by the name of ComfortLast. As the name insinuates, comfort played a big part in its production and Puma have condoned wishes of making the King more suitable for all types of feet. The boot has been made slightly wider and has its last made, so it to a greater degree, follows the foots natural curvatures. 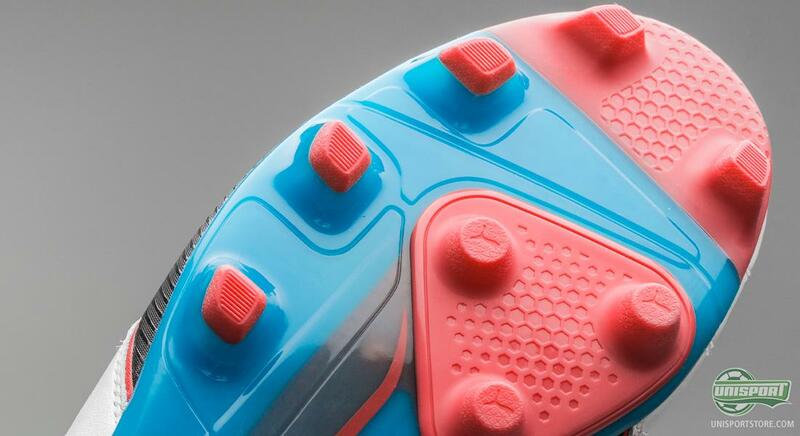 This combines to make the King a delightful boot to step into. For the first time ever, Puma have chosen an external heel counter on the iconic King, which the Germans have opted for on the advice of some of the stars they talked to when testing it. The heel counter gives increased stability and much improved protection around the heel area and therefore blocks many of the potential knocks you get in a game. 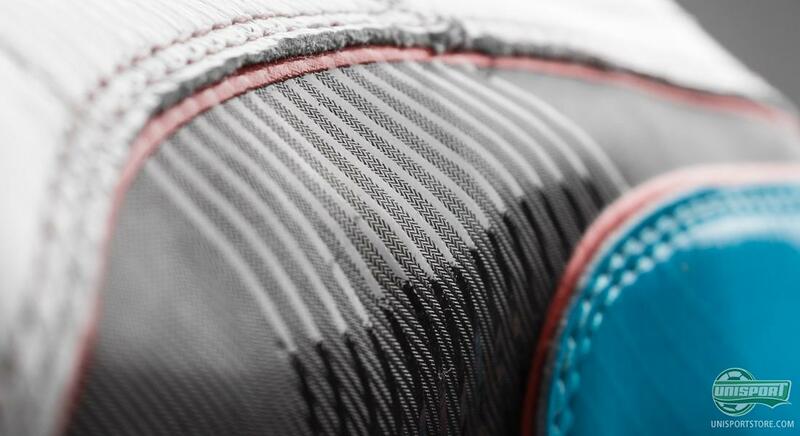 At the same time the top of the heel has been equipped with leather to further heighten the comfort of the boot. 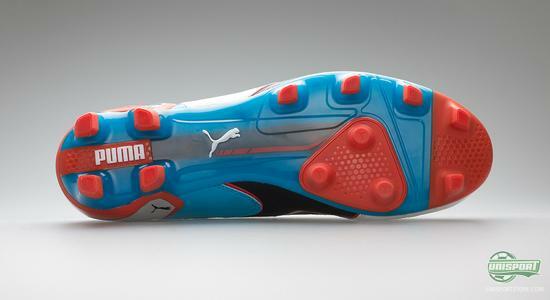 On the bottom of the boot, Puma have kept a hold of their Pebax outsole, which combines low weight with flexibility. There is however something new about it, as the German engineers have designed a new stud-configuration, which consists of both bladed and conical studs. The conical studs can be found on the inside of the front foot, which ensures you get a strong, yet manoeuvrable grip in the pitch when doing small jinks and turns. 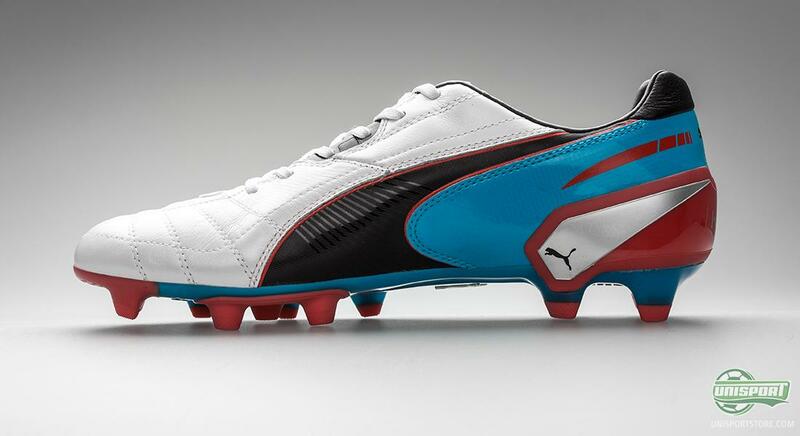 With the third colourway of the Puma King  a very stylish one at that  Puma have given us even more options, for anyone looking to get a pair of the amazing classic boot. Is the new King colour something you like? Share your thoughts with us down below.